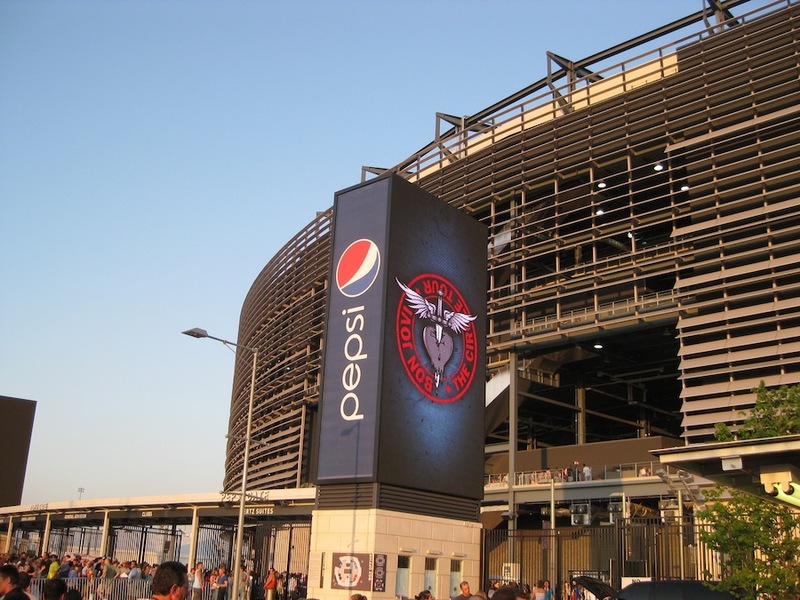 It’s been a busy few days since I saw Bon Jovi open the New Meadowlands Stadium on Wednesday night. 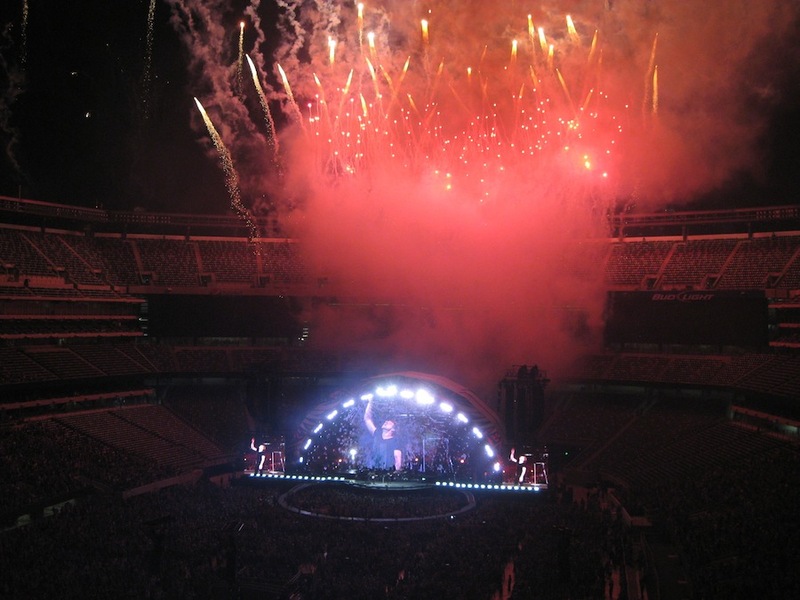 It was pretty neat being at both the first show that Bruce Springsteen did to close the old Giant Stadium, and Bon Jovi’s opening performed for the new arena. The Stadium is really big, and the layout felt pretty awkward. We couldn’t figure out how to get to our seats because the 200 level wasn’t completely connected (and probably all of the other levels, but I’m not sure). 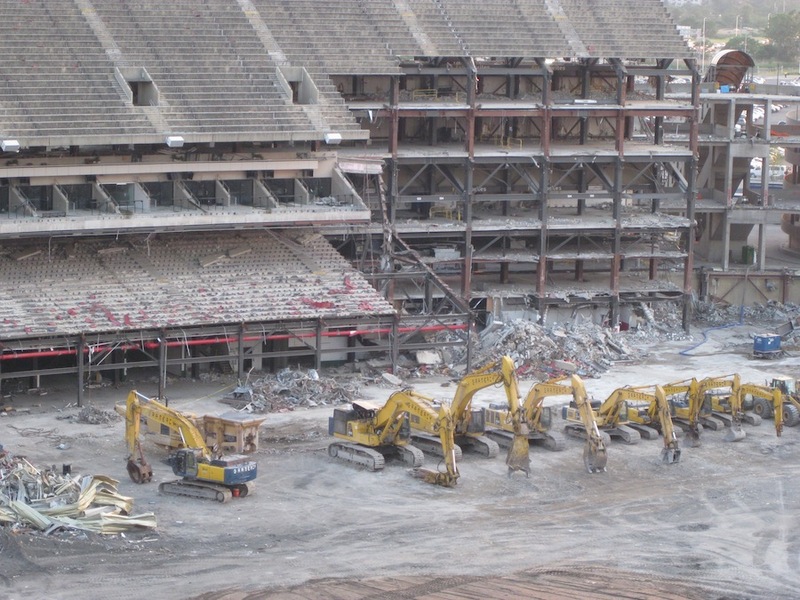 This was further complicated by the fact that the Stadium’s staff was new and almost as clueless as we were. When we finally found section 224, it turned out that there was a 224A and a 224B with overlapping seat numbers, adding a bit more confusion to the frustrating process. 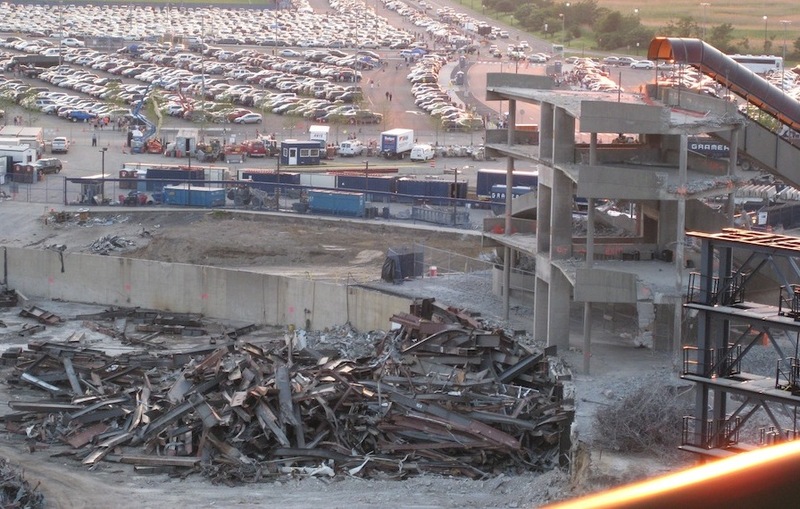 On the bright-side, the long journey to find section 224B gave me a great view of the partially demolished Giant Stadium. Large arenas don’t usually have the best acoustics, and the New Meadowlands Stadium is no exception. I’m sure things sounded good down on the field, but up in the 200s, the sound quality was horrendous. The bass was muddy, the mids were non-existent, and the treble was shrill and completely dominated the mix. I did not like the first half, and I really enjoyed the second. The sound quality was terrible. I don’t like Bon Jovi’s latest album, The Circle or the song Bad Medicine, and most of the first half was that material. It felt like they were playing Bad Medicine for an eternity. They just kept going back to it. I have no idea why, but it was very annoying, and felt like a punishment. The high point of the first half came about a month into Bad Medicine when they played a couple verses from The Doors Roadhouse Blues. That rocked… but then they went back to Bad Medicine, and I was sad again. Finally, the cherry on this sundae was the first half was when PA system completely cut out in the middle of Runaway. The New Jersey audience got angry as quickly as you would expect. The band looked pretty ticked-off as well. Fortunately they were cool and played it off, instead of pulling a Frampton. Remember that poor sound quality? Well, by the second hour of the show my hearing had been sufficiently destroyed. Once I got past the ringing, everything sounded alright. They also switched to more material from Have a Nice Day & the 80s, which I truly enjoyed. Livin’ On a Prayer, rocked. During the chorus, every screen in the arena lit up with YouTube clips of fans singing the legendary song (that really appealed to this geek). The overpowering boom of the whole audience belting out the lyrics was really cool as well. All-in-all, it was a fun night. I am happy I saw Bon Jovi, but I don’t think I would go again. 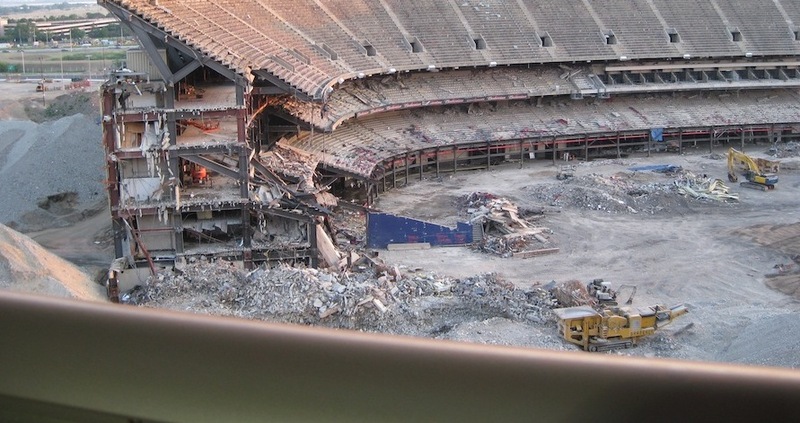 -not good for closed stadiums. 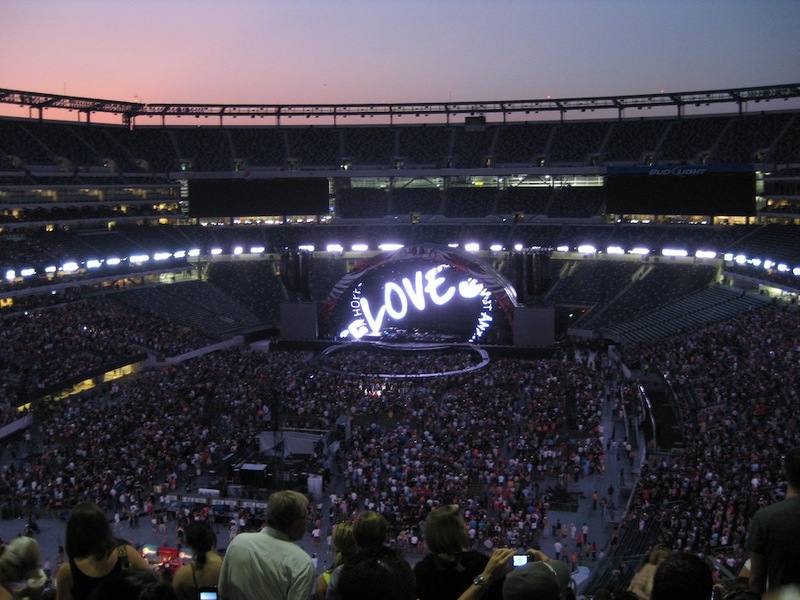 I just bought my tickets for the July 9th concert at the New Meadowlands Stadium. He is such a good performer so I am really excited and what makes it even better is Kid Rock is opening up for him. I know this will be one of the best concerts of my life! There is no doubt in my mind that the show on the 9th will be a memorable performance. And Kid Rock is great to start the show. He will get the crowd up and amp’d for Bon Jovi. That night will be nothing but fun. I am a huge fan of Bon Jovi and I am really excited to see Kid Rock open for him!